Plans have been unveiled for a bigger and better Northcote Library - the latest in a series of service improvements and branch upgrades. The council is currently holding an informal, preliminary stage consultation on proposals that could eventually see the existing Northcote Library replaced with a larger, better facility offering a wider range of library and community services just a stone’s throw away. 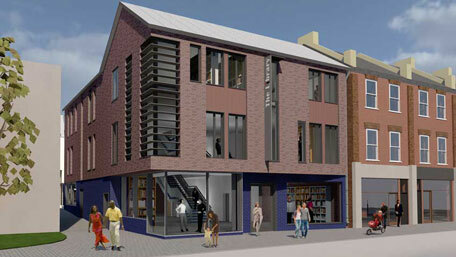 The plans would see a modern three storey library incorporating an exciting children’s library complete with buggy parking space, enlarged study accommodation, self serve kiosks for book loans, upgraded computer and digital learning areas and a coffee and drinks outlet next to the section containing newspapers, magazine and periodicals. The development would also include community space and introduce a new business suite on its second floor offering small local businesses state-of-the-art communications technologies, adaptable work spaces and meeting rooms for hire. The figures from public service accountancy body CIPFA show that in 2015/2016, Wandsworth residents were London’s most dedicated library users, borrowing more than 1.4m books. Service improvements and branch upgrades have been key to this success. Earlsfield Library has been completely redecorated, Battersea Library has been upgraded and the children’s library at Tooting has been completely refurbished. Work has now started on a brand new Wandsworth Town library while plans are being drawn up to replace another two branches at York Gardens and Roehampton with new state-of-the-art buildings offering a wider range of services. There has also been investment in new e-resources and software, new systems to help people get the latest books as quickly and easily as possible. Link-ups with other organisations including Citizens Advice Wandsworth have enabled people to access other public services in their local branch. Read the full Wandsworth Council press release.